Utah CNA Training Centers focuses on excellent Nurse Assistant training, on community service and to employment issues as they relate to our graduates. We make every effort to bring graduates together with quality, caring and professional employers. We hold job fairs, invite employers into the classroom, post ads on Facebook and include recruitment ads in our workbook. Below is a list of excellent employers. Please contact them to set up an interview or to learn more about their employment opportunities. THANK YOU TO ALL THESE AGENCIES AND ORGANIZATIONS THAT SUPPORT THE QUALITY EDUCATION WE PROVIDE OUR STUDENTS. If you need any of the services offered below or are seeking employment; please reach our FIRST to these quality organizations. A Caring Hand is a Certified Home Care Agency with over 30 years of experience. Licensed, insured, and bonded; we are a family owned and operated agency specializing in providing personal care to children, adults, and the elderly in the comfort of their own home. A Caring Hand has taken this unique level of comprehensive care and shared it with the Wasatch front. A Caring Hands services are available 24 hours a day, seven days a week. Our Client Care Coordinators are always on-call to answer any questions or concerns you may have. Our services are covered by Utah Medicaid; Select Health Community Care, Health Choice Utah, Veterans Benefits, Five Federal Grant Waiver Programs, Long Term Care Insurance, and Private pay. Brightstar Care is a home care medical staffing agency with a location in Murray Utah. With competitive starting pay and on the job training, this is a great employment opportunity. BrightStar Care of UT – Mountainside is committed to delivering the highest quality care. We have voluntarily attained accreditation for our home care agency by the Joint Commission which is a nationally recognized quality standards organization with rigorous standards. BrightStar of Salt Lake City offers a full range of care, from general peer-level companionship to highly skilled nursing care. The home health care we offer is based upon our primary goal of making more possible in our clients’ lives – more dependability, more security, more options. This is just one way we bring more to our clients and their loved ones each day, making their quality of life the best it can be. For more information please call 801.559.3999 or visit http://www.brightstarcare.com/mountainside/lifecare/skilled-care/. Email your resume to: abigail.albretsen@brightstarcare.com. Homewatch CareGivers is personal care agency offering non-medical care for seniors. It starts with listening to you. Once the team at Salt Lake City home care has assessed your needs and preferences, we put together a plan of care that is just for you and your family. Our compassionate caregivers are committed to your quality of life. Homewatch CareGivers has been a premier provider of home care for people of all ages for over 30 years. With our Advanced Continuum of Care, we are able to help our clients stay comfortable and safe…no matter where they live. We provide in-home care from a few hours per day to 24 hour live-in assistance. We provide assisted living in the best environment possible, your own home. We provide assistance to all ages and in all conditions, including seniors wanting to stay in their homes, sick children, or adults convalescing from an injury or surgery. Our Alzheimer’s program, Pathways to Memory, is changing lives and providing hope. Homewatch Caregivers is a fantastic place to work. The agency offers competitive wages, a 401K plan, flexible schedules and paid health insurance. They have three locations in Salt Lake, Provo and Roy. Call 801.746.1080 for more information or apply online at www.hwcg.com. Locally owned and operated. Ashford’s hands-on owners know each resident by name. Being locally owned allows Ashford to make needed improvements quickly and help residents, staff, and families feel that their voices are heard. Rocky Mountain Care is an Equal Opportunity Employer and drug free workplace. 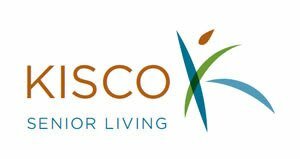 For over 20 years, Kisco Senior Living has specialized in developing and managing full service rental senior living communities that provide an enriched lifestyle. In 1996, Kisco created their guiding principles, values and beliefs, which are based on the concepts of integrity, dignity and compassion. These principles balance the interests of the residents, associates and business partners. To this day, these principles form the basis for how they operate as a company. Are you interested in joining a great place to work and helping the create a wonderful place to live for the residents of Kisco Senior Living? Visit www.kiscoseniorliving.com for more information. difference in someone’s life. And your own. quite often it’s a bit of a stretch. we wouldn’t blame you one bit. We may snicker, but we will totally understand. MBK Senior Living – Dedicated to being the preferred senior living provider in the markets we serve, we create warm, inviting living spaces in desirable locations. We offer a variety of services and programs to enrich the lives of our residents and their families. And, by getting to know our residents, their personal preferences and their individual needs, we can better contribute to their well-being and provide care that’s right for them. We are committed to enhancing independence and quality of life, serving others the way they prefer to be treated and providing care that is delivered with integrity, dignity and compassion. South Davis Home Health brings our award winning approach to care into community homes. Community based and provider-referred, patients can rest assured that our large team of medical professionals stand behind the high quality services delivered by South Davis Home Health & Hospice. Patients who are transferring to home health from an SDCH facility or care unit will benefit from close caregiver collaboration between services to assure a smooth transition home. Families and individuals facing declining health should never have to face the challenge alone. Home health and hospice services do not need to follow an inpatient admission – if you or someone you know has experienced a decline in health, contact South Davis Home Health & Hospice for a supportive in-home evaluation and assistance in exploring your options for care and support. Hiring CNAs – Full & Part Time Positions! For students seeking a more adventurous career, EMT Utah offers a well respected and fast paced Emergency Medical Technician program. Get started on an exciting career in the pre-hospital setting working in the ER, on an ambulance or for a fire department. Call EMT Utah for more information at 801.449.0749 or visit www.emtutah.com. Ameritech College of Healthcare offers one of the top-ranked nursing programs in Utah. You can complete your Associate’s degree in nursing in less than 2 years! The program is fast, affordable, hands-on and of course, fully accredited. Nurses are in high demand and jobs are plentiful. For more information about the nursing program call Ameritech at 801.816.1444 or visit www.ameritech.edu. Get your BSN (Nursing degree) with the help from Eagle Gate College’s professional scholarship. The success of our learners and graduates is the core focus of Nightingale College. The future of health care relies upon the new generations of nurses. Nightingale College’s faculty and staff are dedicated to equipping learners with the necessary knowledge and skills to bend the unsustainable course of the current system and greatly improve care outcomes and the quality of life for each individual, family and community they serve. Nightingale College’s staff and faculty are dedicated to preparing future nurses who will elevate the quality of health care in the communities they serve. Staff and faculty are committed to connecting with each learner on a personal level to facilitate learning. Nightingale College offers smaller clinical groups that allow instructors to spend more time individually with each learner. ASN and BSN Degree Programs!